Coconut macaroon is a sweet, milky and light often serve as dessert or snack in the Philippines. It comes in a mini cupcake sized, usually lined with colorful paper cups. It is often available in the local bakeries. When I was young, I playfully choose what color of macaroon I will eat first even though they all taste the same. I love its sweet, milky, slightly chewy texture and I am guilty that I can eat 10 pieces of macaroons in no time. They are so simple and yet the joy they bring to my sweet tooth is divine. Out of boredom this weekend and realizing that I have not been blogging for 3 weeks now, I decided to make this simple snack that you can serve anytime of the day. For this version, I used dessicated coconut instead of the freshly grated coconut. One thing I observed while munching this snack is, it’s bit dry compared with the macaroons I grew up with. My main culprit is the dessicated coconut. Dessicated coconut is dried grated coconut used to prolong the shelf-life of the grated coconut. I think, if fresh grated coconut is used instead of the dessicated coconut, I can achieved the traditional coconut macaroon. 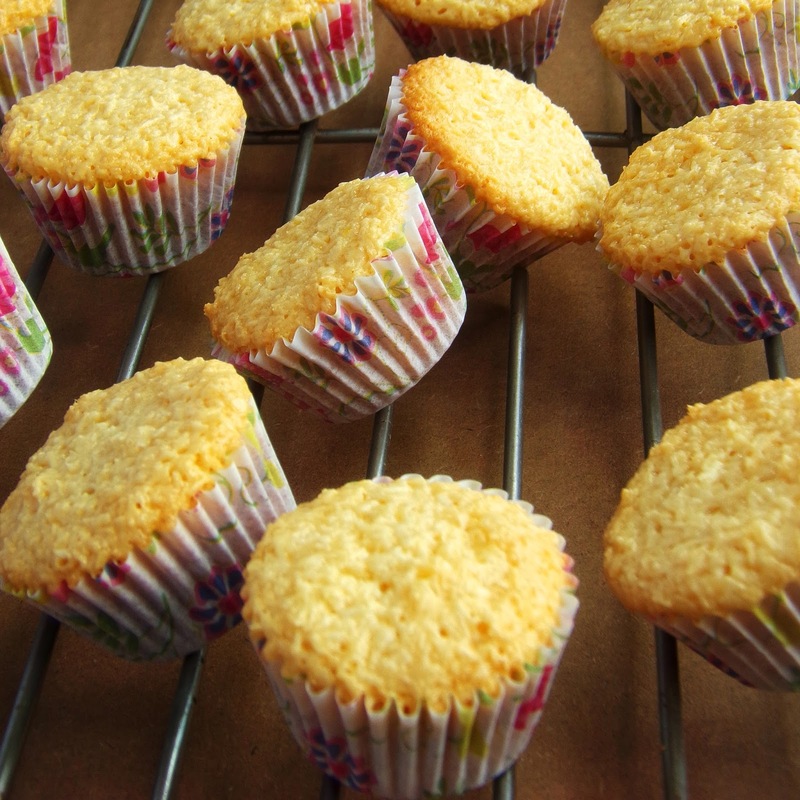 Just a guess, using freshly grated coconut will give a moister version of this coconut macaroons. Maybe next time I will try to make coconut macaroons using freshly grated coconut. Combine dessicated coconut and flour. 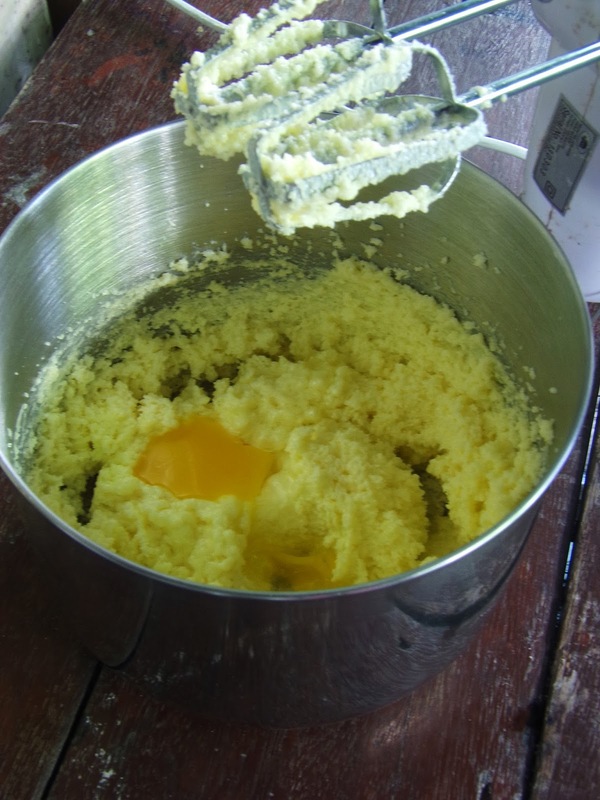 Give it a few whisk just to evenly combine everything. In a separate bowl, cream butter for 5 minutes. Add sugar and beat for 3 to 5 minutes. Add egg one at a time. Ensure that everything is well incorporated. Add the condensed milk and vanilla extract and mix well. 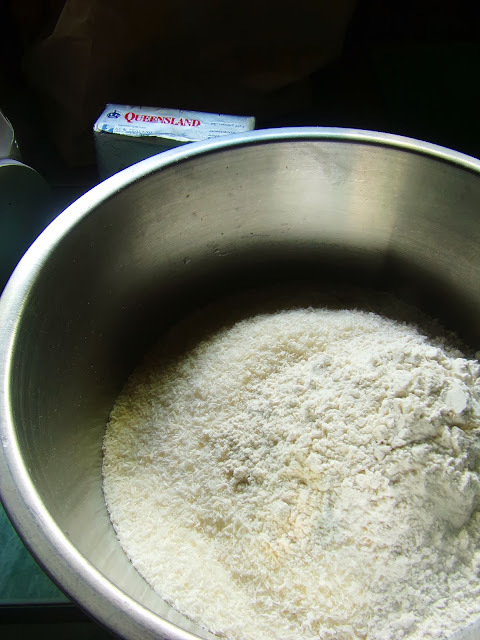 Add the flour mixture. Do not over mix. 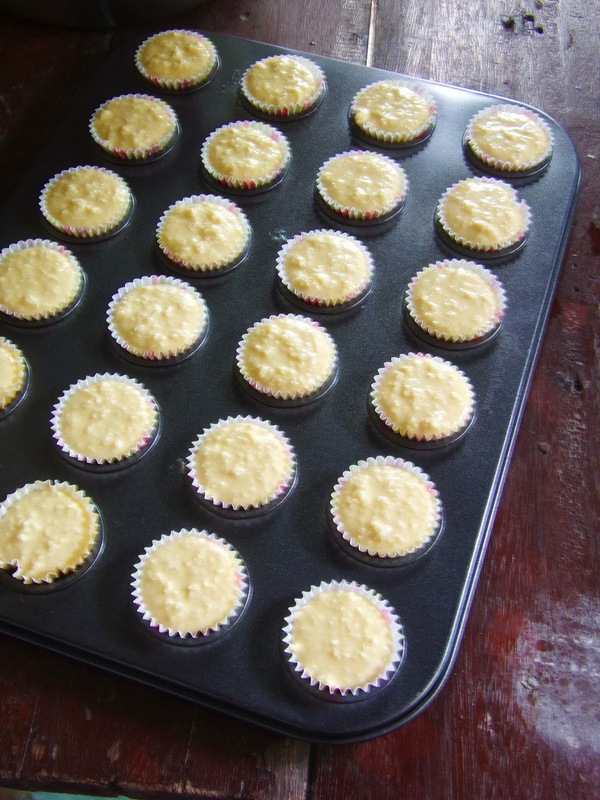 Place a 3/4 ounce paper cups in the mini cupcake tray. Fill up to 3/4 full. And bake for 15 to 20 minutes, 18 minutes worked for me. Do not fill the cups up to the brim. I learned it from the hard way. My first batch spilled from the cups during baking. I thought it will not rise because of the absence of leavening ingredients and it turned out wrong. It will actually rise like a regular cupcake. ^Thanks for the suggestion. I'll do that next time. You can try soaking the dessicated coconut first in fresh milk before mixing.